WHAT: To celebrate the recent release on Blu-ray and DVD of the comedy hit ANCHORMAN 2: THE LEGEND CONTINUES David Koechner will be throwing out the ceremonial first pitch AND leading the 7th inning stretch sing-along at the Chicago Cubs Game on April 10th. Koechner who portrays news team sports anchor Champ Kind is well known for his “whammy!” catch phrase and will attempt to dazzle on the mound and in the booth in a rare double duty pitch and singing performance. Actor, writer and producer David Koechner, an alumnus of Chicago’s Second City Theater, got his first break as a cast member on “Saturday Night Live” and since has become an instantly recognizable face appearing in more than 120 films and television shows. He is best known for his roles as Todd Packer on “The Office” and Champ Kind from the Anchorman films. Koechner will be performing his stand-up routine at Park West in Chicago on April 11th. Visit davidkoechner.com for more details and tour dates. ANCHORMAN 2: THE LEGEND CONTINUES is available now on Blu-ray Combo Pack and includes THREE versions of the film—the original Theatrical Version, the Unrated Version and, the Super-Sized R-Rated Version with 763 new jokes! 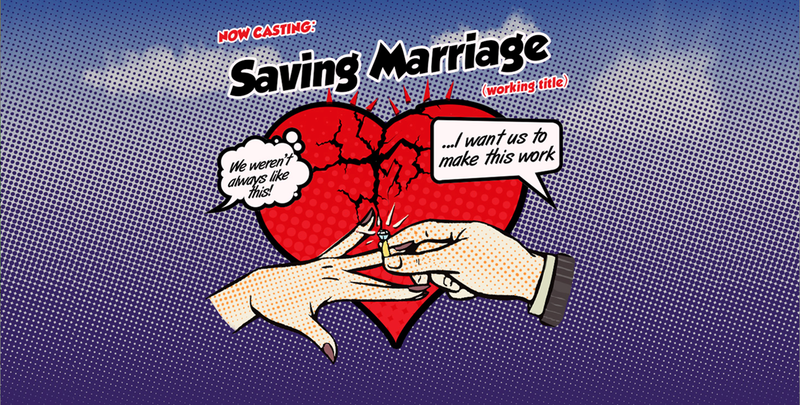 New TV Casting: Saving Marriage - Couples in need! New Online TV Casting Call: Married Couples!!! An innovative new television series is seeking married couples with relationship problems who could benefit from a life-changing adventure together! This new series is an unprecedented opportunity that will explore the communication and the basis of your relationship - Get ready for the perfect chance to prove what brought you together in the first place - to strip away the noise and truly become the significant other, to each other! Doron Ofir Casting is on a nationwide search for married couples, who have come to a major crossroad in their relationship for the chance to go on an epic journey to save your marriage. If you are having marital issues, questioning your commitment, debating therapy, or have just started counseling, get ready to pack your bags and explore the depths of your partnership. A leading marriage therapist will help you and your spouse rekindle the spark you lost somewhere down the road. Online casting call. Finalists will be brought to New York to meet with producers. Please share and re-post this opportunity! You may help change someone's life! TOPSHOP opens at Nordstrom Old Orchard next week – shop the Kate Moss collection April 30! Nordstrom is opening a brand new Topshop department at Nordstrom Old Orchard next week on Wednesday, April 16th. Topshop’s cutting-edge selection of trend-led fashion is constantly changing, so check back often to find amazing new pieces every week. And what better way to launch Topshop with a bang than by kicking things off with a fashion icon? That’s right – the Kate Moss TOPSHOP collection will hit Nordstrom stores, including Nordstrom Old Orchard and nordstrom.com, on Wednesday April 30th. We’d love if you could let your readers know to be on the lookout! The collection features updated fabrics, premium tailoring, and an intimate take on Kate’s personal closet and favorite pieces. With looks styling the range from pajama dressing to cocktail hour and from boho blouses to noir-inspired trousers and bias-cut gowns, it’s ultimately a reflection of Kate’s iconic style. The collection hits Nordstrom stores and nordstrom.com on April 30th. Customers who spend over $150 in-store will receive a limited-edition Kate Moss TOPSHOP tote bag – and the first 50 customers to make a purchase will get some extra swag in their tote. We’d love if you’d share the news about the collection with your readers – attached, you’ll find a low-res contact sheet with images of Kate wearing the collection. If you’d like one of the campaign images, just let me know which number and I’ll send in high-res right away! I’ve also included a link to Hightail, where you can download high-resolution images of items from the collection. Each item has its price in the file name for easy access. I’ve marked several Nordstrom-exclusive items from the collection – you’ll only find these in Nordstrom stores and at nordstrom.com. I’ve attached a press release about the collection here as well.